This highlighting and shading compact functions to create a slimmer face, and sharper chin. #1 has more of a yellow tone than #2, which has more of a pink tone. I love how big the mirror is, the compact is really slim too, great for carrying around, even if it's just for the mirror. It also comes with this flat brush. It's soft and functions well, but I wish there was somewhere on the compact that can store this, so it can be used on the go. I usually stick to my contorting and highlighting brushes when applying the shades. To show the colour, I've layered several layers of colour. 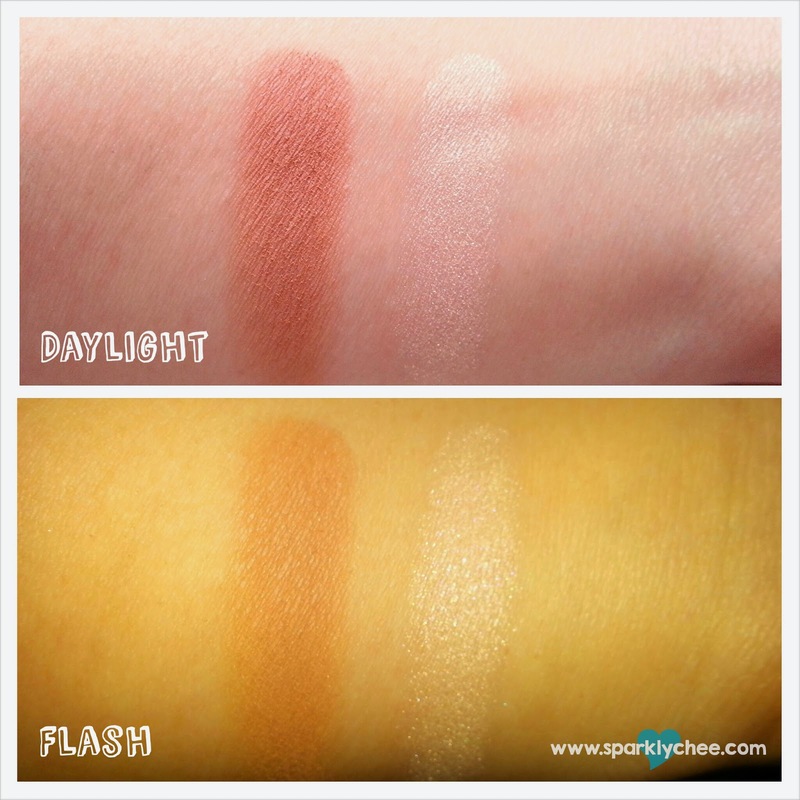 It is very subtle with a few light strokes, and blends well with rest of the skin tone. I've been using this for several month now, and I really like this product! 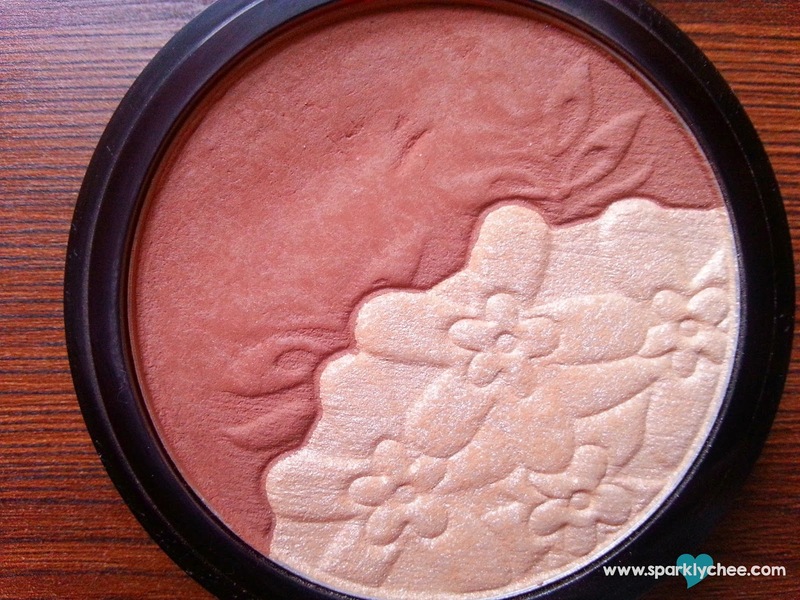 The shading colour is very soft in texture, and a bit powdery. This makes the product very buildable. 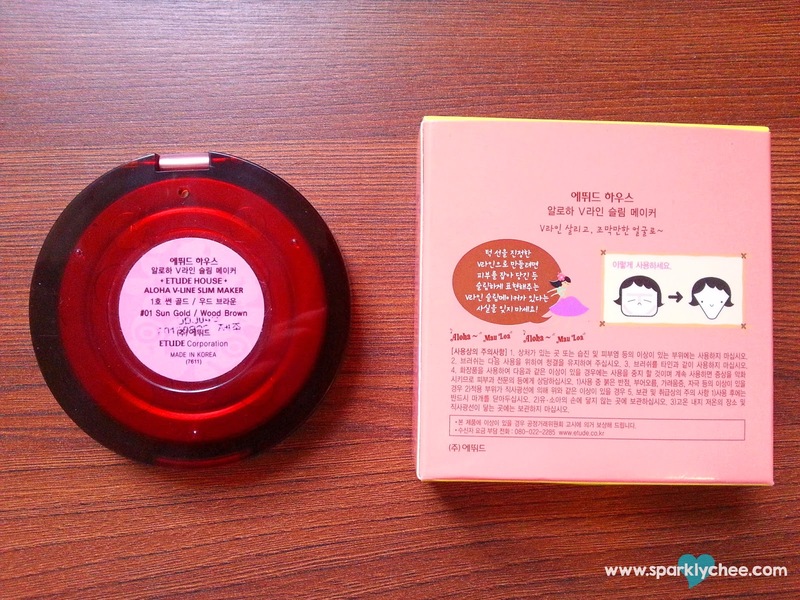 Both colours have a yellow tone to them, so it is suited for yellow undertone skin. It is very subtle matte shade and you'll probably need to go over it a few times before you can see a great difference. I do prefer it this way though, especially for shading, since I want the colour buildup as gradually as possible, so there is more room for mistakes, and you'll less likely go overboard with it. 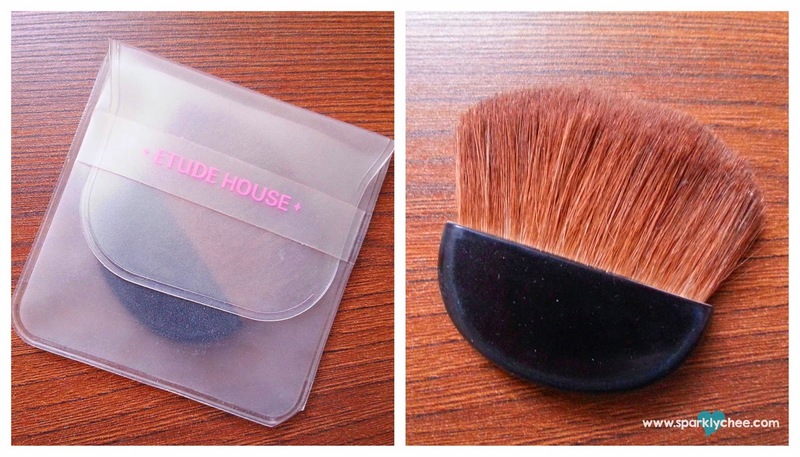 Blending is very easy, but make sure to tap off the excess on your brush so you won't have uneven shades. I usually start around my jawline and work my way towards the centre of my face to build up a gradual shade. And this definitely works to slim the face! You can also use this to contour your nose or other areas. The highlighting colour is much more pigmented, it is basically a very fine mixture of white and gold shimmers, and because it's so shimmery, only a little bit is needed to achieve the full highlighting effect, or else you might end up looking like a disco ball. I usually use this on the top of my cheeks and the bridge of my nose. Usually one application is enough. Also I find this highlighter to have some fallouts, and after a few hours I would get shimmer on other parts of my face. So it's important to use this in moderation! Lastly, I really like the packaging, the compact snaps close tightly with no chance of opening by itself, and it's not hard to open either. It is slim, and feels sturdy and solid, great for carrying around. And as much as I love that it has both shading and highlighting shades, they are housed very closely to each other, and if you're using a bigger brush, you might get some of the other shade on your brush too. What do you use to highlight/contour? 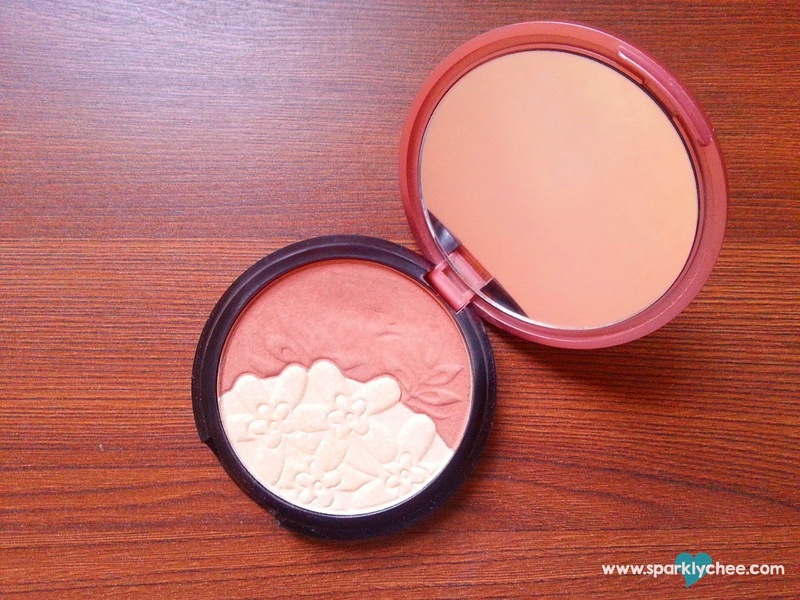 A pitty the brush is not storable below the powder directly. It would be much more travel friendly then. 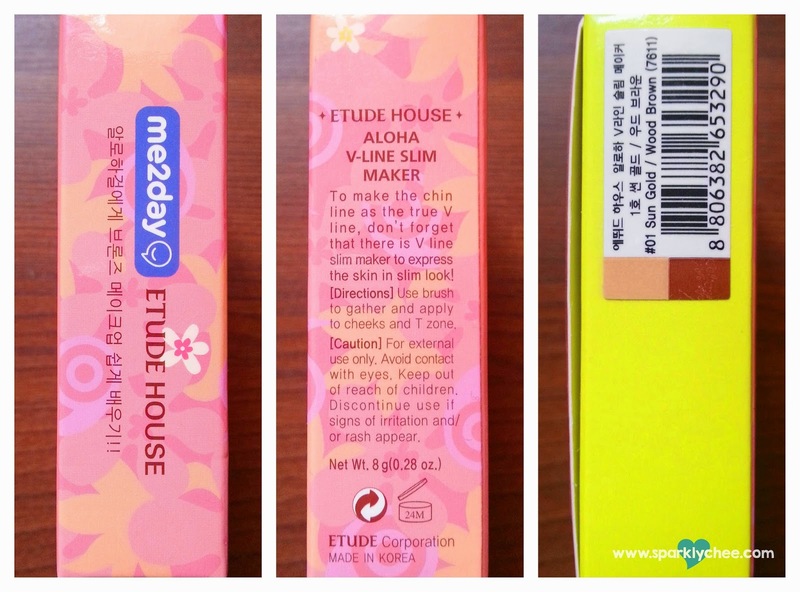 The packaging on the other hand is beautiful as always with Etude House products. LATEST POST: KATE COSMETICS...SELFIE TO JAPAN!?! The packaging is so cute! Thanks for the review! Ya it is! :D Thanks for reading! 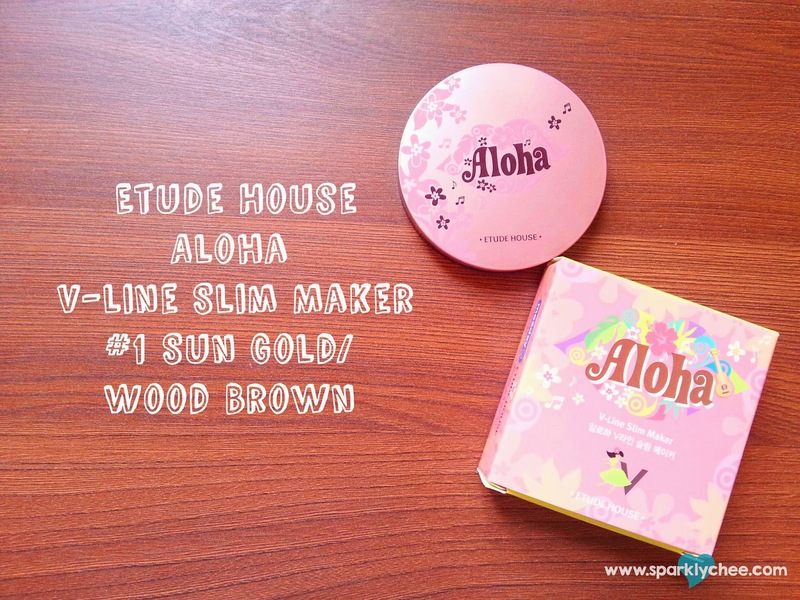 I know I love the design, Etude has such cute packaging!